Russia and Mongolia are commemorating the 70th anniversary of the battle of Khalkyn-Gol, when the Soviet Union and Mongolia defeated Japanese forces, preventing Japan from possible invasion of Russia’s Far East. The battle of Khalkyn-Gol took place on the Mongolian border in 1939, just weeks before Hitler's troops marched into Poland. President Medvedev is in Mongolia to commemorate the anniversary of one of the forgotten battles which shaped World War Two. After Japan occupied Manchuria and Korea, it went on to stretch its offensive into Soviet territory. The first clashes began in 1938. Prior to World War Two, Germany’s ally Japan was planning to use Mongolian land to get into the USSR from a southern front. Because of the Khalkhin-Gol battle, for many Soviet servicemen the Second World War began two years earlier than for most other Soviet soldiers. Tokyo’s strategy was divided in two: The North Strike Group, which wanted to seize Siberia, and the South Strike group which sought the rich resources of south-east Asia. But in the end, it was a Russian who forced Japan’s choice. It was thanks to Georgy Zhukov that the two principal ‘axis powers’, Germany and Japan, never got the chance to link their conquered areas through Russia. Marshal-to-be Georgy Zhukov arranged an assault of a large Soviet armed force on the Mongolian border, sending the Japanese military effort and history in a different direction. 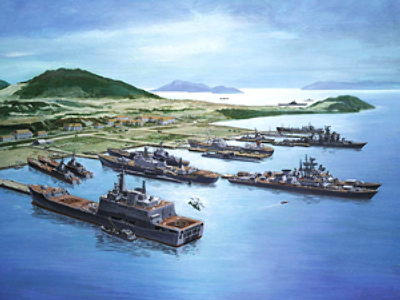 The defeat compelled Japan to choose its South Strike policy, which infamously resulted in the attack on Pearl Harbor. 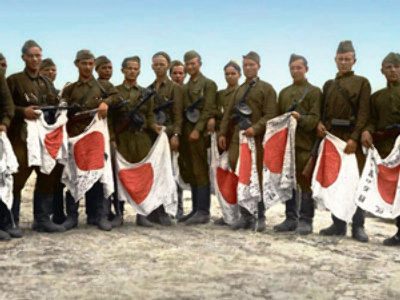 ended up waging a two-front war, so the speed with which the Japanese were defeated was vital,” explains Aleksandr Dyukov, Russian historian and the director of Historic Memory Fund. Shortly after Khalkhin-Gol, Marshal Zhukov became a renowned military leader, employing a very similar technique in the Battle of Stalingrad and throughout WWII. 92 year old Nikolay Ganin is one of the few who remembers Zhukov’s tactics. “Mongolia retained its sovereignty and Japan decided to sign a non-aggression pact in 1940. Hitler lost a very important ally [against Russia] and we strengthened our positions in the East. Thanks to Zhukov’s victory, the second front on our Far East was never opened,” says the Khalkin-Gol veteran. Nikolay says Khalkin-Gol is his devotion. He’s gathering evidence of Japan’s wartime aggression and wants to write a book. Not so much a memoir, but to underline the importance of Khalkin-Gol to the history of the 20th century.